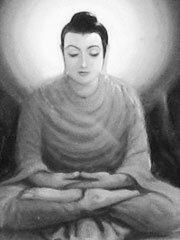 Store consciousness (Sanskrit: ālayavijñāna; Tibetan: kun gzhi rnam shes; Chinese: 阿賴耶識 Japanese: araya-shiki) is the eighth and the most fundamental of the eight consciousnesses established in the doctrine of the Yogacara school of Buddhism. Store consciousness accumulates all potential energy for the mental and physical manifestation of one’s existence, and supplies the substance to all existences. It also receives impressions from all functions of the other consciousnesses and retains them as potential energy for their further manifestations and activities. Since it serves as the basis for the production of the other seven consciousness (called the «evolving» or «transforming» consciousnesses), it is also known as the base consciousness (mūla-vijñāna) or causal consciousness. Since it serves as the container for all experiential impressions (termed metaphorically as bija or «seeds») it is also called the seed consciousness (種子識) or container consciousness.